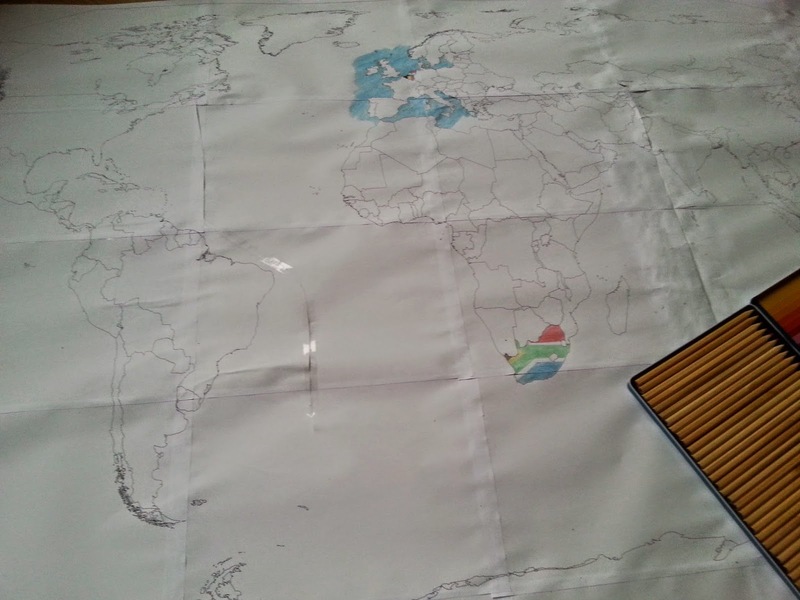 A while ago when starting to collect for my continent boxes I came along a site where you can print your own maps, big ones. You choose a continent or the whole world and you choose how big. One page or 3x3 pages to 8x8 pages big. I printed a 5x5 map of the world. Now I started coloring it. It will probably take quite some time.